There was something different about Jon Pertwee's final season. To my youthful mind this difference was all wrapped up in its position in the Radio Times Tenth Anniversary Special; the as yet untransmitted adventures were listed "over the page" from the rest of the guide on a page of their own. This, and the fact that they lay in the future set them apart. Of course there were other major differences. There was a new "time tunnel" title sequence, Jo and The Master had gone and there was this annoying Sarah Jane Smith woman following the Doctor around and being over self-consciously "feminist" every other line, although they called it women's lib in those days. Even as a nine year old I remember thinking they were labouring the point to the extent that it almost felt as if the scriptwriters were taking the piss. I had no idea the character would still be around thirty-five years later. The final story Planet of the Spiders (1974) had a melancholic funereal atmosphere (despite the ridiculously overlong chase sequence that took up most of one episode). I recall there was something very dramatic about the Doctor showing his fear and being confronted by something far more powerful than he was. Also, after five years of "holier-than-thou" superior behaviour, his ego was cut down to size by the appearance of his old Time Lord mentor, K'anpo Rimpoche. The season ended. It was the middle of summer and I discovered that I'd have to wait until after Christmas to find out what this new Doctor was like. Further down the page it transpired it was the new Doctor Who SERIAL 4A, with the rather unimaginative title "Robot". I was suddenly far more interested in reading it than I was in drawing spaceships on the back, I devoured it in an afternoon. Reading a script was a very different experience from reading a book or watching a TV show, what with all this talk of TELECINE 1 and THE DOCTOR (O.O.V. ), and, rather surprisingly, typos (at one point Ms Winters called Sarah-Jane "Miss Snit"). It was also written from a production point of view, so that it contained asides like THE ROBOT IS REMARKABLY AGILE FOR ITS SIZE (WE HOPE). And the new Doctor? He seemed to be written as a bit of a clown. I wasn't sure I was going to like this, he seemed too silly. I decided to reserve judgment until I'd actually seen him in action. And besides, the robot sounded cool. I was to get the opportunity to see episodes one to three sooner than I thought. One afternoon my dad had to take me into work with him, so to keep me occupied he sat me down in front of a machine the size of a fridge with a black and white TV embedded in its top, which played TV programmes from big square plastic cartridges. It was a video player. So I watched episodes one to three of Robot (1975) for the first time in black and white without sound effects or music. I wasn't bothered by these limitations - seeing it before anyone else felt like magic. 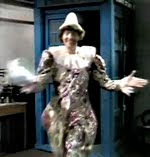 I still wasn't sure about this new Doctor; he seemed too silly - even dressing up as a clown at one point. He was all over the place. Still at least Sarah-Jane and the Brigadier were there to reassure me. And the robot was good. Time Lords never die, they just sort of rejuvenate and become...? 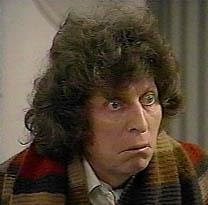 Tom Baker takes over as Doctor Who this evening in Robot. For some reason or other I missed the fourth episode on transmission as well. In retrospect this was a blessing as it meant that I missed the awful CSO Giant Robot sequence and the Action Man tank. Robot was an odd beast, a post-Pertwee blip, the birth throes of a new era for the programme. The Tom Baker years would start in earnest the following week with an episode that had me enthralled and which marked the beginning of the programme's first proper story arc. Funnily enough it was called The Ark in Space. Ah yes, Planet of The Spiders holds a special place in my heart, constituting my earliest memory. All I remember is Jon Pertwee in a large white room, facing a number of shelves. Positioned on the shelves are a number of spiders. I remember him picking up one of the spiders, apparently dead, or asleep. That is all I really remember. I must have been about two or three at the time. As I grew older, and my love of Doctor Who grew with Tom Baker, I became aware of 'other Doctors'. My Uncle had a Patrick Troughton annual. My Dad told me there was a Doctor before him, 'a grumpy old man'. I thought that Jon Pertwee's idiosyncrasy was 'checking his spiders', in much the same way that Tom Baker had his jelly babies, and Patrick Troughton had his recorder. 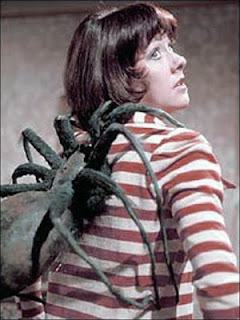 Well, at least until 1979 and Dr Who weekly came out, and I discovered this part of 'Planet of the Spiders'. 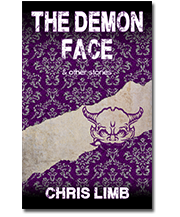 Have been quite superstitious about the story ever since, and have never seen it since. Don't want my earliest memory destroyed by the reality!